When the Smart brand first arrived in the United States back in 2018, it didn't have a lot going for it. 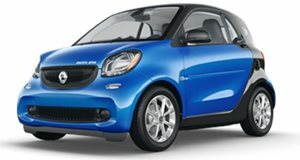 Fuel economy wasn't stellar for such a small car because Smart never offered a diesel engine for the US market. We were also stuck with Smart's lackluster automatic transmission, rather than the smoother and more enjoyable manual. Smart later introduced a manual when it moved to a new platform shared with the Renault Twingo but has since moved its entire lineup to electric power. We believed a switch to electric would help Smart sell more cars in the US but the brand only managed to sell 1,276 cars in all of 2018. According to German newspaper, Handelsblatt, parent company Daimler will have to make a decision on Smart's future by the end of this year. Similar reports on Smart's demise have been documented, though a final decision on the brand's future wasn't expected to be delivered until at least 2026. So why has the decision been accelerated? Daimler will be getting a new CEO in May, Ola Kallenius, who has "no history with Smart" and "no scruples about killing the brand if necessary." Ever since Smart was launched in Europe back in 1998, it has lost money for Daimler, so killing off the brand may be an easy decision for the incoming CEO to make. Smart was able to save money developing the current ForTwo and ForFour by co-developing them with Renault but reports claim the French automaker wants out of this partnership, meaning Smart could be left to develop new cars all on its own. With Smart's global sales falling by 4.6 percent to 128,802 units in 2018, it seems like the financial climate is not conducive to the sale of small city cars. By the end of the year, we could be waving goodbye to Smart.